The company behind a large and contentious coal mine proposed for the west side of Cook Inlet is suspending all permitting efforts, suddenly putting the Chuitna Coal Project in limbo. Dan Graham, project manager for PacRim Coal, told officials at the Alaska Department of Natural Resources about the company's decision late last week. DNR posted an update on its website Friday. Graham told state coal regulatory program manager Russell Kirkham that the owners "decided to shelve the project" after an investment fell through, Kirkham said Monday. The company also issued a statement last week: "Following several months of internal review and discussions, the partners in PacRim Coal, LP have decided to suspend pursuit of permitting efforts on the Chuitna Coal Project." Graham couldn't be reached for comment Monday. The project as planned would sit about 45 miles west of Anchorage near the small community of Beluga and the Native Village of Tyonek. 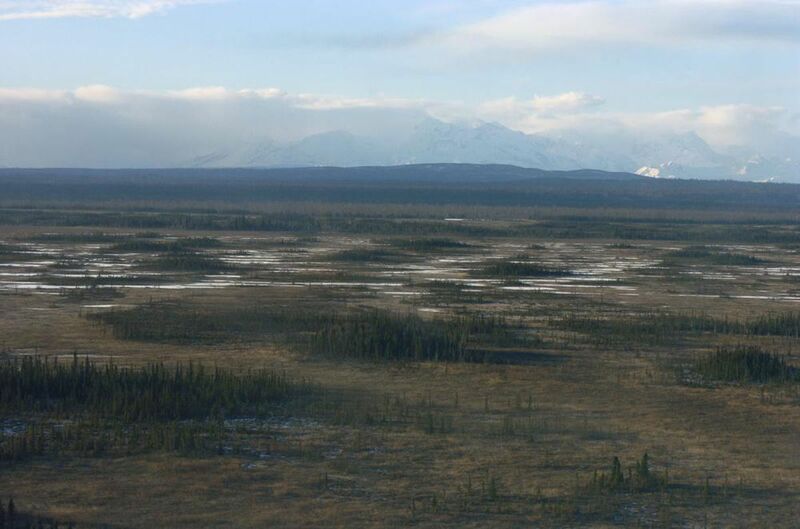 As proposed, Chuitna would be the largest strip mine in Alaska. PacRim plans call for the sale of sub-bituminous coal to Asian export markets. Plans also called for the destruction of a salmon stream in the mine area. The project, in the works for about a decade, has drawn critical comment from thousands of people and was condemned in a movie screened around Alaska to drum up opposition. PacRim had submitted a complete permitting packet to the state, according to Kirkham, who estimated it at "several thousand pages." DNR was getting ready to ask for input from the public on the application. Generally, such projects go through two hearings: an initial one, and then another hearing in six months to a year. PacRim was pretty far along in its permitting process but still early in the public one, Kirkham said. News of the suspension was greeted with celebration by longtime mine opponents who credited flagging coal markets and the cost and complexity of the mine with the company's decision. Word was just getting out Monday in the Native Village of Tyonek, population 180, where many had fought the project for its potential impacts on lower Chuit River salmon as well as wildlife and marine mammals. Native village president Art Standifer said he got a call about the PacRim decision Monday morning from the Native American Rights Fund. "It was a great feeling and I'm overjoyed by it," Standifer said by phone Monday afternoon. "It was a good treat to go with my coffee this morning." He said he spent the first part of the day making calls, to "whooping and hollering" from people on the other end of the line. Tyonek Native Corp. has supported the Chuitna project for the potential economic development and jobs for shareholders. A representative said the corporation had no comment Monday because it had yet to receive official word about the mine.